PetWeighter is a raised dog bowl that stays put. 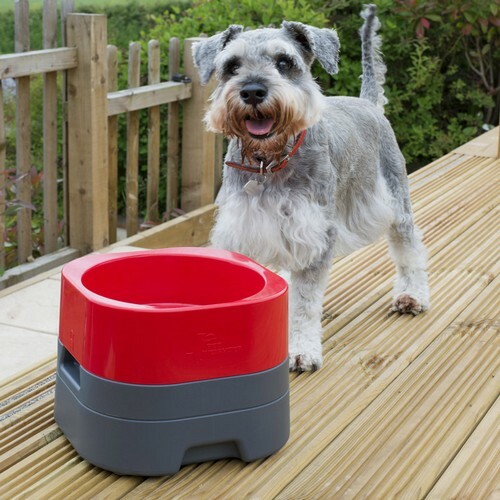 Does your dog find it tricky to eat or drink when their bowl keeps moving around the floor? Do they look uncomfortable when having to bend down to eat or drink out of a bowl on the floor? How many times have you walked into the kitchen and kicked your dog's water bowl across the kitchen - water everywhere (we certainly have)? The PetWeighter helps to resolve these issues. The PetWeighter comprises of a base, a bowl that locks onto and removes easily from the base for filling and cleaning. The base can be filled with water, sand and water, or ice, to give it a weight of up to 13kg. 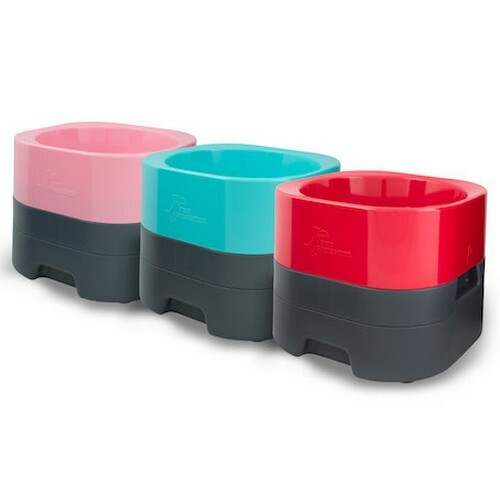 When the bowl is placed back on the base, dogs are not able to move the bowl around or knock it over and they no longer have to chase their bowl around the floor to consume their food or drink. 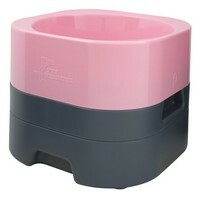 The bowl is light and easily detachable from the base so it's effortless to fill and clean. The PetWeighter is designed by healthcare engineers with hygiene in mind to ensure that the bowl has no cracks or areas that will attract dirt. 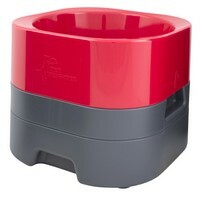 The PetWeighter will also stay where you put it which will help establish a dedicated feeding area in your home, and result in only one feeding zone to clean. The base is made from crack resistant plastic and the bowl is made from food grade ABS plastic and is dishwasher safe. Weighted base to prevent the bowl being knocked over. 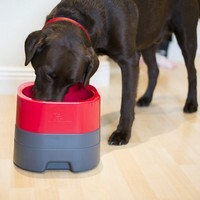 Elevated position to help with digestion and save your dog bending down to eat or drink. Dishwasher safe bowl for easy cleaning. In hot weather, add ice to the base to keep the bowl cool. Please Note: This product is shipped by myHermes courier under our Standard shipping rate.